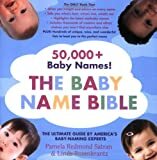 The most popular girls' names right now won't be tallied by the Social Security Administration until next May, but over at nameberry we have our fingers on the pulse of baby-naming 2010. The most-searched girls' names for the first half of the year are Charlotte at number 1, with Seraphina and Olivia following at 2 and 3. Names making the biggest leap up the list for girls over the first quarter are Harper, Jane, Quinn (influenced, no doubt, by Glee), Clara, Clementine, Ivy (a new entrant to the Top 100), and Bryn. Other names new to the girls' list are Juliet, Jillian, and Pearl. Names falling the fastest are Willa, Lydia, Piper, and Lauren. Off the Top 100 this quarter are Bella, Beatrix, Maya, Mila, and Yvaine (though we confess to having no idea how that made it to the most-searched roster last time around). Of course, the nameberry list is vastly different than the official list of Most Popular Names in the U.S. The Social Security list is based on all actual births and name choices in the country, while the nameberry list measures which names our relatively style-conscious visitors are most curious about. Plus nameberry searches come from all over the world -- about a third of our visits originate outside the US -- while the Social Security list tracks which names Americans actually give their children. Can a small number of people searching repeatedly for a specific name skew the results? No. We can see not only how many times a name was searched but by how many unique individuals, so to those of you who tried to game our system by searching for Pervis and Gomer: We're on to you. Here, the Top 100 girls' names for the first half of 2010. Tomorrow we'll bring you the boys.